In small bowl, mix seasoned salt and garlic powder. In 10-inch nonstick skillet, heat butter and orange peel over medium heat until butter is melted. Add chicken; sprinkle with salt mixture. Cook about 15 minutes, turning once, until juice of chicken is clear when center of thickest part is cut (170°F). This orange chicken is super easy to prepare! 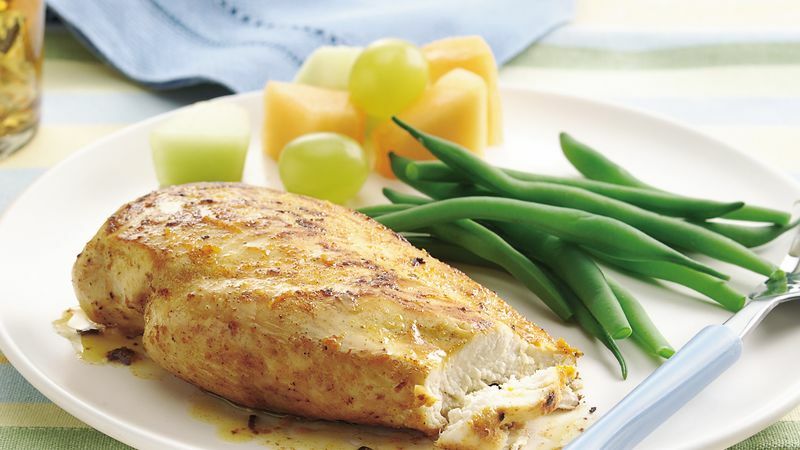 Serve it with cooked fresh green beans or broccoli, warm breadsticks and a simple fruit salad.